AU Las Vegas kicked off yesterday with an inspiring general session – featuring CEO Andrew Anagnost and a host of special guests – where we learned about an out-of-this-world manufacturing research project from NASA’s Jet Propulsion Laboratory. Today, Steve Hooper and I led a keynote discussing the latest manufacturing industry trends and how we’re building out the software in our Product Design & Manufacturing Collection, along with the rest of our portfolio, to meet the needs of our customers. 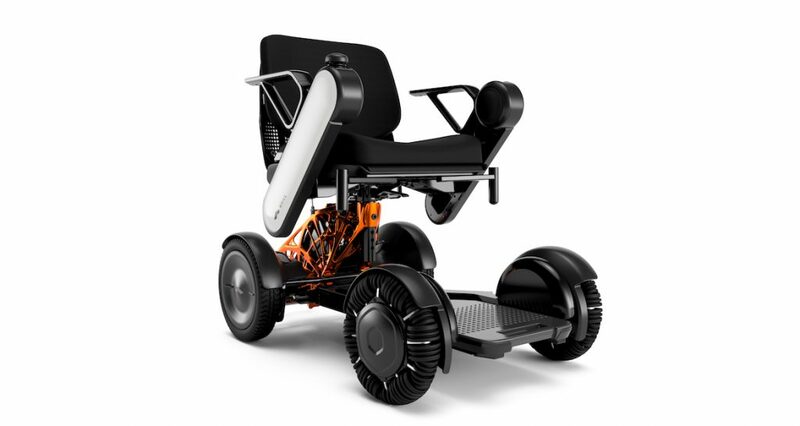 This includes customers such as WHILL, makers of an ultra-portable mobility chair that, as we saw on stage today, has been re-imagined and lightweighted using Autodesk generative design. Big picture, we see the convergence of design and manufacturing as the inevitable – and beneficial – future of making products. We see our customers embracing this evolution and, for our part, we’re pushing to accelerate it. Because when you break down the silos between product designers, mechanical engineers and manufacturing engineers, and treat all these people as a real team, you improve just about everything about the product development process – speed, cost, innovation and more. We are in development to expand the manufacturing constraints for Autodesk generative design technology to include 2- and 2.5-axis machining. Generative design, available through Autodesk Fusion 360, is the essence of convergence because design and manufacturability are built in. While additive manufacturing and 3- and 5-axis milling constraints are already available for generative design, the addition of 2 and 2.5 is a big deal because pretty much anybody with a CNC milling machine – even the most affordable ones – has those capabilities at their disposal. In addition to having access to Fusion 360’s cloud-based generative design, advanced simulation and advanced CAM capabilities, new subscribers will receive 100 cloud credits as a one-time grant. Autodesk cloud credits are the currency for our cloud-based services, including generative design, so you pay only for what you use. The Fusion 360 integrated workspace now also offers a true hybrid manufacturing experience that combines advanced additive and CAM capabilities in a single workflow. See the Fusion 360 blog for more on this and other recent updates. We’ve developed a comprehensive design-to-print workflow for additive manufacturing, based on Autodesk Netfabb and Fusion 360, that connects Autodesk generative design technology with HP Multi Jet Fusion 3D printers. By streamlining the conversion of digital design to physical part, the new workflow will increase accessibility to rapid prototyping while accelerating our customers’ ability to deliver production-ready 3D printed parts. Penumbra Engineering, a customer of both Autodesk and HP, was recently enlisted by a client to design and additively manufacture a new state-of-the-art ultrasonic sensing device that delivers the accuracy and durability to withstand use in extreme environments. Using Autodesk generative design and HP Jet Fusion technology, Penumbra not only met the stringent performance requirements, but also produced a design both lightweight and balanced enough to ensure proper stability and ease of use for technicians in the field. To help customers get started with generative design and rapid prototyping, HP and Autodesk are offering a free one-year subscription to Fusion 360 with each HP Jet Fusion 300 / 500 / 4200 printer purchased before FORMNEXT 2019, and 300 cloud credits to those free subscriptions registered before January 31, 2019. We’re also working with GE Additive to simplify metal additive manufacturing, agreeing to collaborate on an integrated workflow for GE Additive machines. Based on the Fusion 360 platform, the workflow will connect all phases of additive manufacturing, from design and simulation to printing processes and machine analytics. Using GE Additive software algorithms, interfaces, and specialized data models to offer predictive insights, the additive workflow will provide cost and timeline projections in the early stages of design, allowing designers to make engineering and business decisions without first having to physically produce parts. “Working with Autodesk will provide a powerful design-to-print environment for our customers, helping lower the barriers of additive adoption while accelerating a customer’s time to first good part,” said Lars Bruns, software leader at GE Additive. EWI and Autodesk are joining forces to speed industry adoption and deployment of additive manufacturing technologies, including Directed Energy Deposition (DED), through a series of training programs. These efforts inspired a recent week-long educational seminar for engineers from EWI and DED equipment manufacturers, where attendees shared industry best practices and received training on the additive capabilities included in Autodesk PowerMill 2019. The next step in the collaboration will be the launch of an additive manufacturing training course focused on enabling a seamless connection between processes, software and hardware. From product development to industry collaborations, we’re keeping our foot on the gas. Keep in mind that all of the above represents only the latest developments for our customers. These new software capabilities and alliances build on the immense value that’s already available in our Product Design & Manufacturing Collection, a value that far outweighs the actual cost of an annual subscription. Why do we do this? Because Autodesk has always been about democratizing access to advanced technology. We’re staying true to that mantra. We want our manufacturing customers to be ready for and embrace the future of making so they can succeed. Ultimately when our customers win, we win.